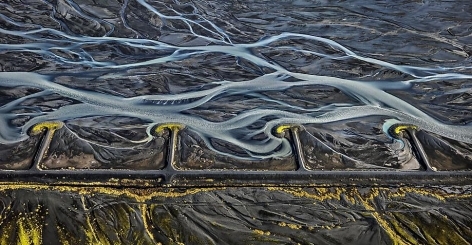 Canadian photographer Edward Burtynsky presents new color photographs from Water, his most recent series, in a major solo exhibition. 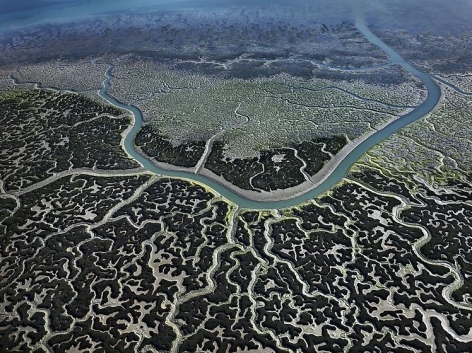 Edward Burtynsky is known worldwide for his arresting images of industrial landscapes. 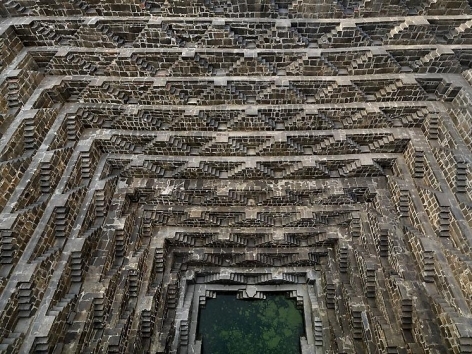 The Water series, begun in 2007, his largest and most ambitious project to date, documents the scale and impact of manufacturing and human consumption on the world’s water supplies. 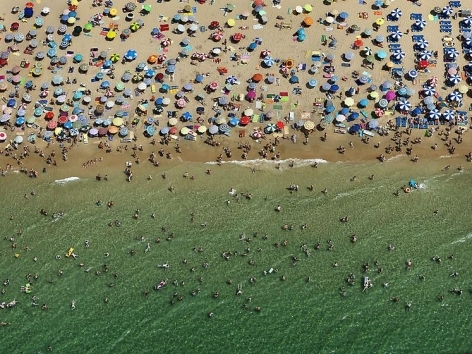 In order to produce this vast body of work, Burtynsky traveled the world. 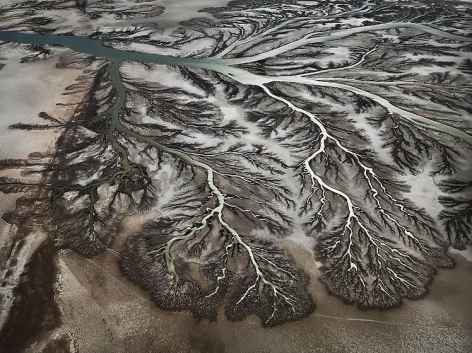 He chronicles the monumental dams on China’s Yangtze River; ancient stepwells in India; dramatic deforestation and erosion in Iceland; and desertification of the once vital Colorado River Delta in Mexico. He shows, in stunning color and intricate detail, how human interference is depleting this precious resource. 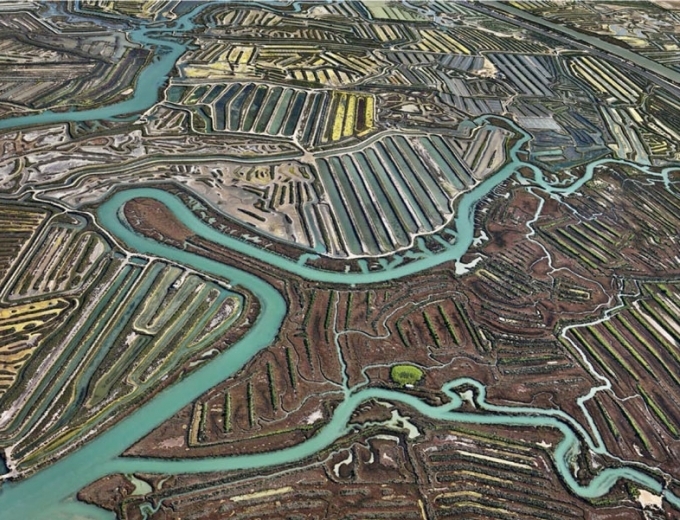 Edward Burtynsky’s works are in the collections of more than fifty museums worldwide, including the Museum of Modern Art and the Solomon R. Guggenheim Museum, New York; Bibliothèque Nationale, Paris; The Photographer’s Gallery and the Victoria and Albert Museum, London; and Albright-Knox Art Gallery, Buffalo, New York. Edward Burtynsky holds six honorary doctorate degrees and was recognized with a TED award in 2005. In 2006 he was named an Officer of the Order of Canada, the nation’s highest civilian honor. His distinctions include the National Magazine Award, the MOCCA Award, the Outreach Award at the Rencontres d’Arles and the Applied Arts Magazine book award. 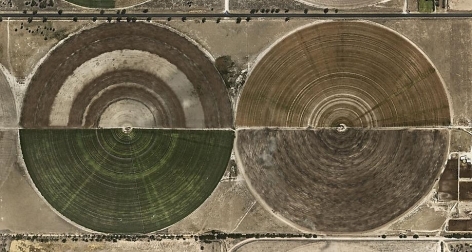 In 2007, Burtynsky was the subject of the award-winning documentary Manufactured Landscapes, which screened at the Sundance Film Festival. 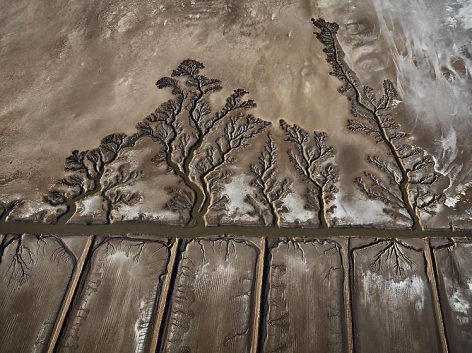 Burtynsky’s new film, Watermark, which he made in conjunction with award-winning filmmakers Jennifer Baichwal and Nick de Pencier, premiered at the 2013 Toronto International Film Festival. 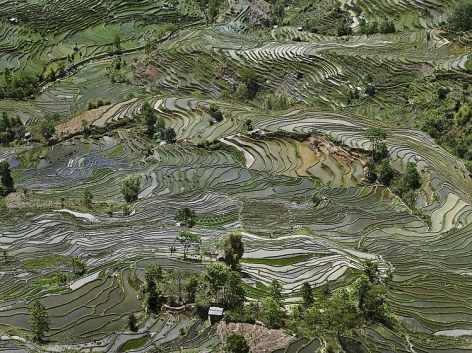 In conjunction with this exhibition, Asia Society Hong Kong will host a screening of Watermark on Saturday, May 10, at 6:30 pm. The film follows the artist as he shoots the images that form the Water series. 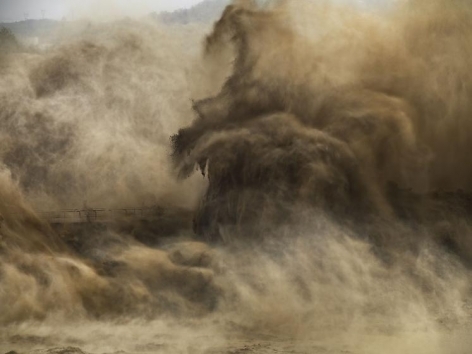 Edward Burtynsky will be on hand for the screening and will answer audience questions. Details and ticket information are available on the Asia Society website. The photographs in this show were recently published in the book titled Water by the German publishing house Steidl.